← TEACHING YOGA: AS EASY AS IT SEEMS? Last Monday I wrote about having had a dream where an unknown person talked to me about the 3 key steps to success (read it here). The first one was: ‘Give it a try!’. Now let me move to the very second one: ‘Make a plan!’. Many times we wish to change something in our life – such as a job, a relationship, the way we spend our time – or we desire to be a different kind of person, mainly to be free of being ourselves. Well, have you tried to transform that wish in a goal? As long as we have the desire for change but don’t take an action in the new direction, things won’t just turn out differently… so, define which steps you need to take to get to your goal and than undertake the first one. And remember, as everything in life is impermanent, your goal is as well… so stay open and adjust as you move forward! Following this approach my life has come to a complete change over the last couple of years… yes, it requires some effort but it is highly rewarding! 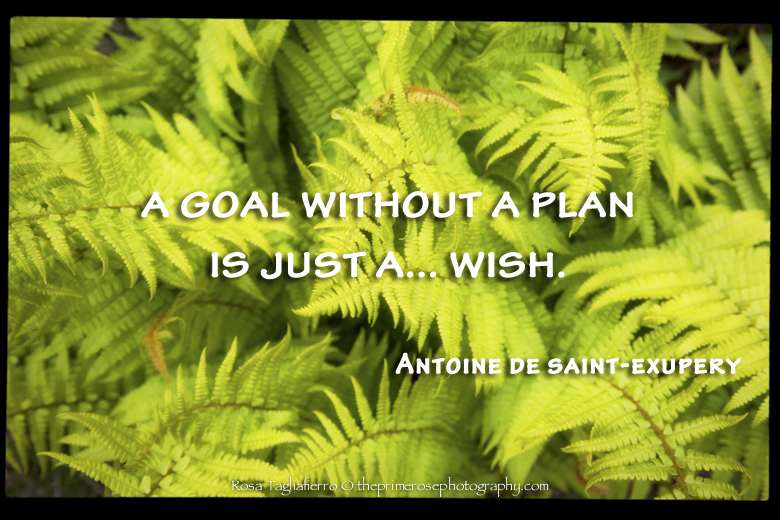 This entry was posted in Monday inspiration and tagged antoine de saint-exupery, making plans, Monday inspiration, reaching goals, Rosa Tagliafierro, theprimerose, theprimerose photography, theprimerosephotography.com, yoga quote, zen quote. Bookmark the permalink.